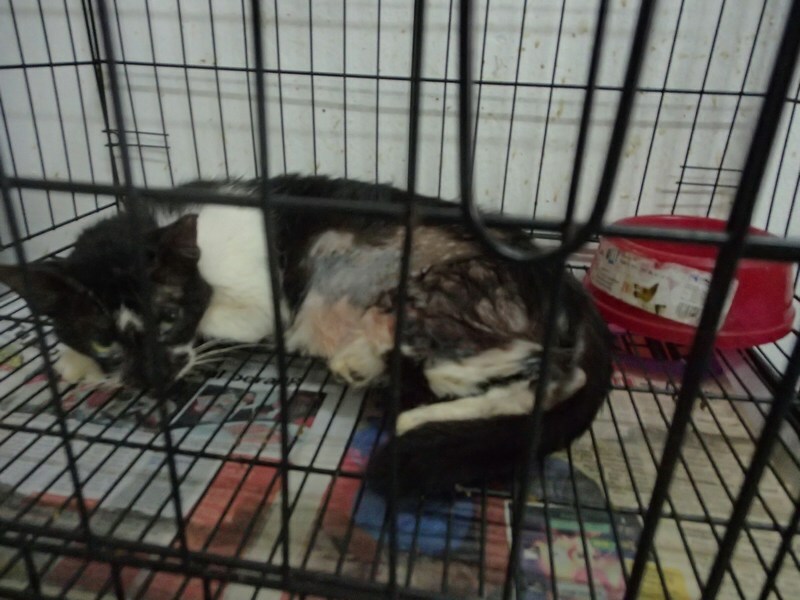 Since February 2014, we had been alerted to a few cases of abandoned cats and street cats. 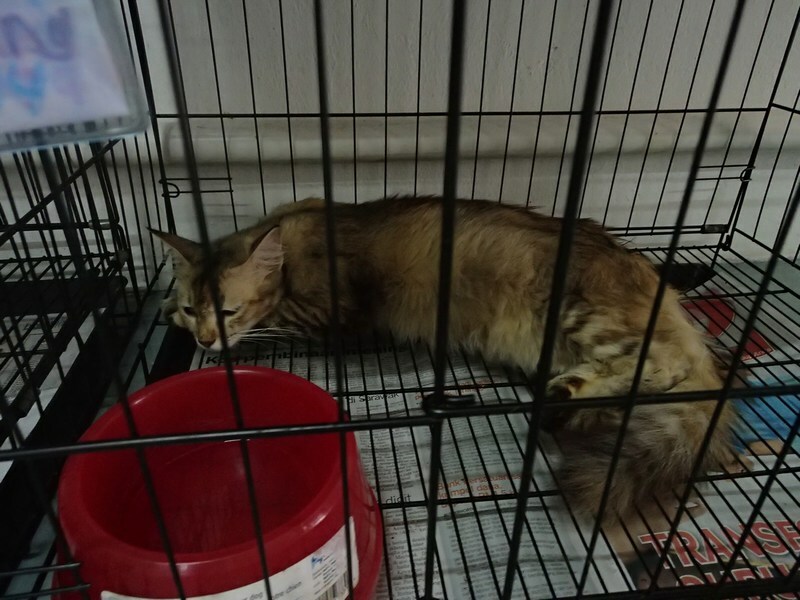 Our friend offered to house these cats pending adoption or failing which, she will provide them with a loving home. 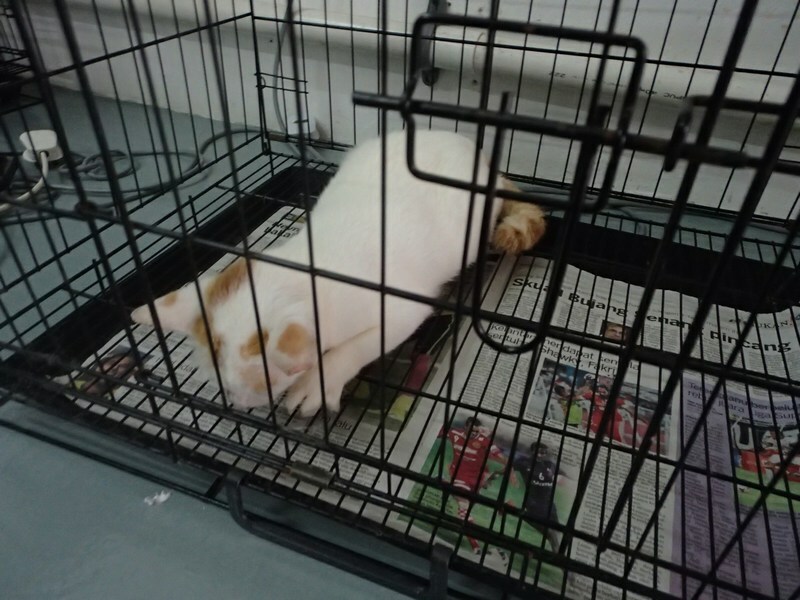 AnimalCare does not do rescue work, but we were lucky we could find someone to take over the cats for these few cases, so we picked them up. 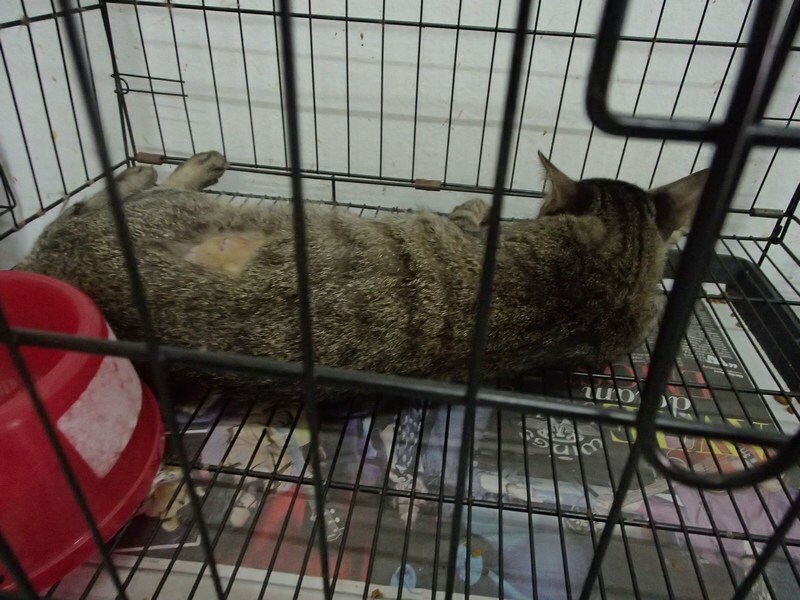 Over the weekend, 7 of the adult females were spayed and we visited them today at the clinic. 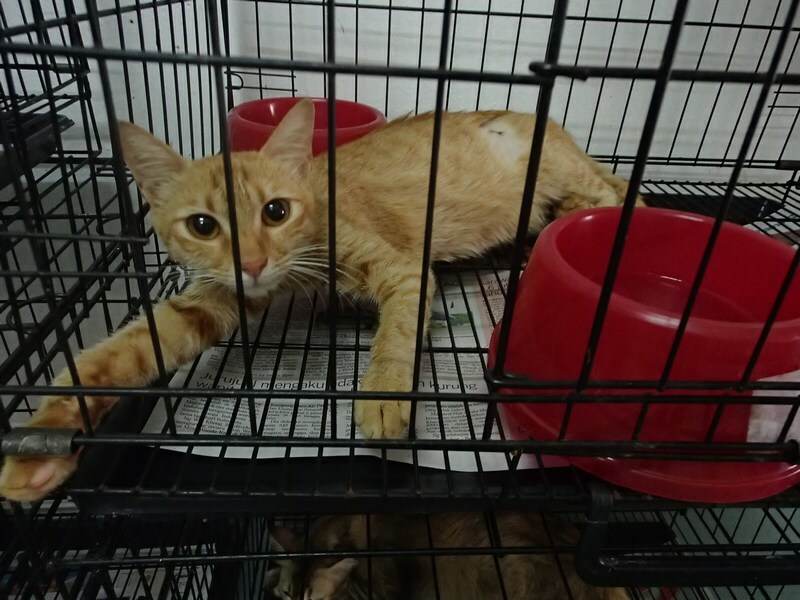 We have subsidised RM700 for the spaying of these female cats and RM25 for the vaccination of one of them (the most recently rescued ginger-mum, Teddy Altman). Katherine (the grey mum) will be spayed later along with another 2 more of these rescued cats (they were having the flu earlier on and have now recovered). The good news is, the vet has found an adopter for Katherine and there is another adopter interested in the two white females. 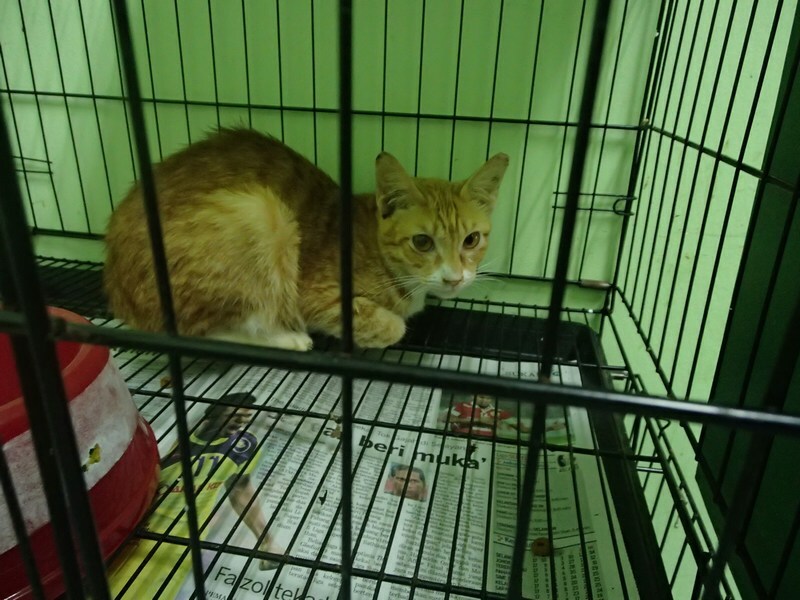 So we hope they will be adopted from the clinic too. 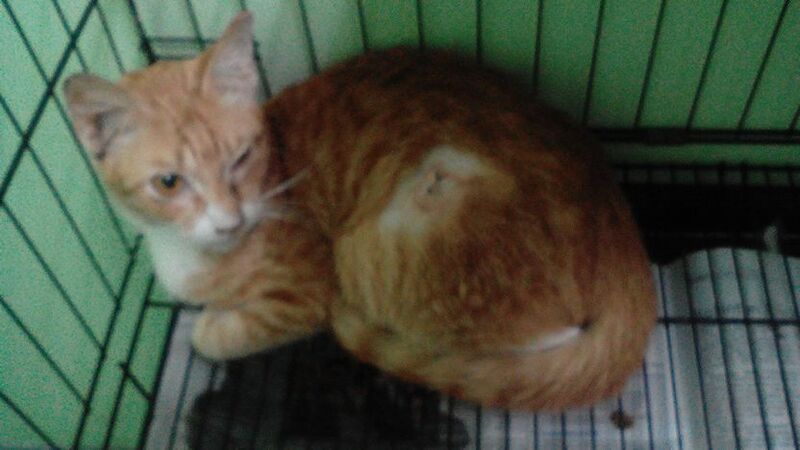 We wish to thank the vet very much for all his help. The balance of the bill is covered by Vincent and the PatioCats. 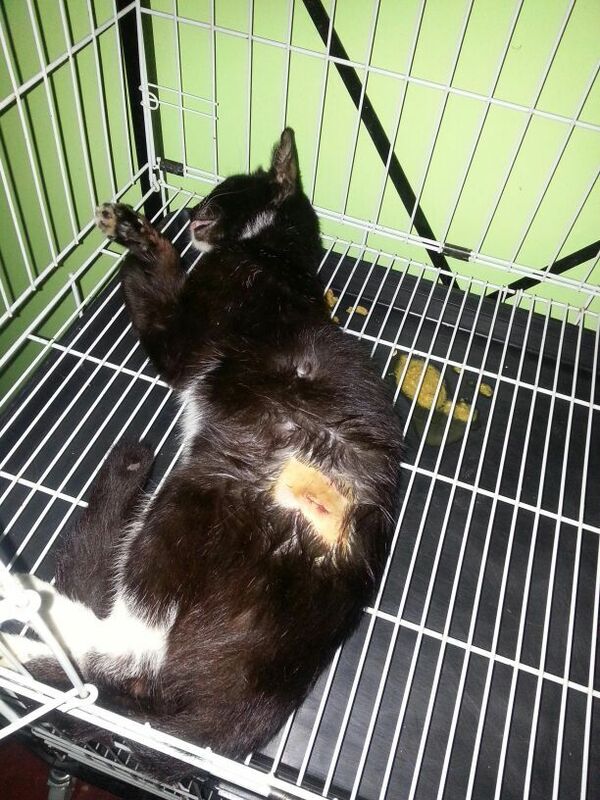 Teddy Altman, spayed and vaccinated. 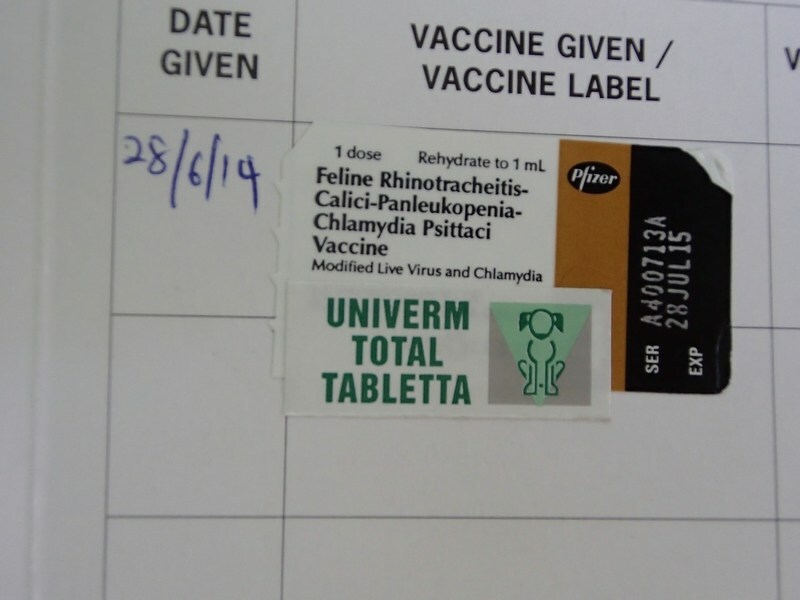 Teddy’s vaccination card. Also dewormed. 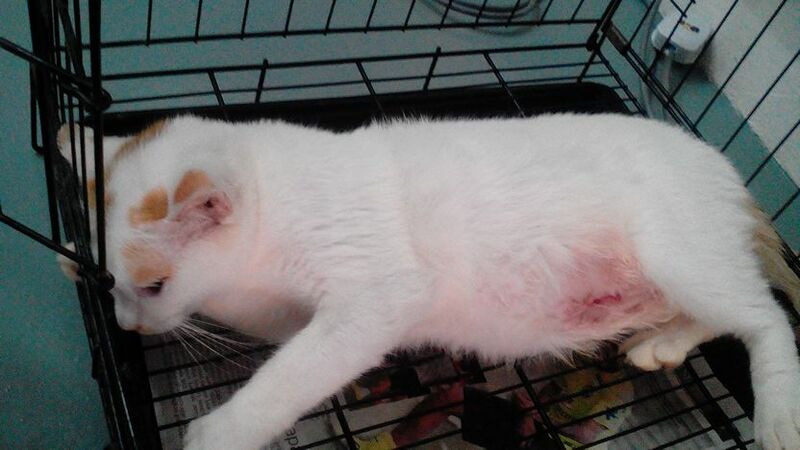 Spayed, may be adopted from clinic. Spayed, but ever so active and asking to be let out. Spayed and a little grumpy. 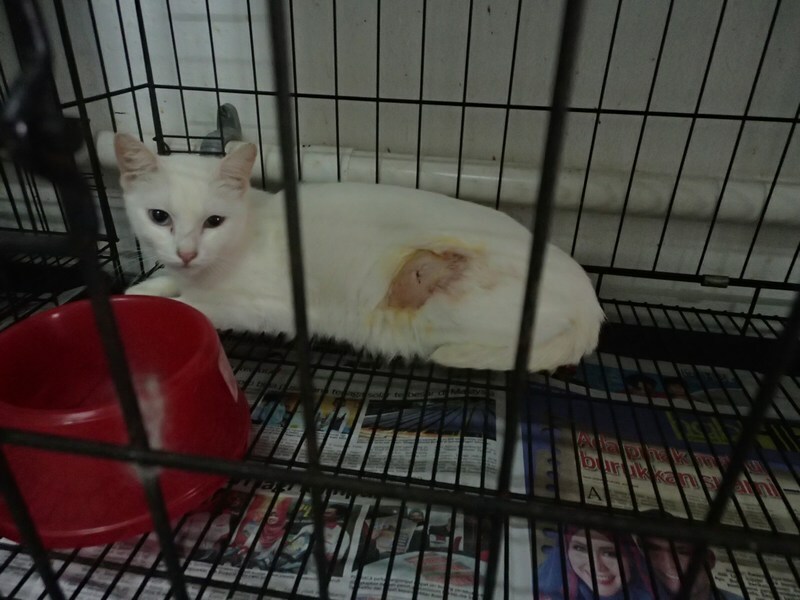 Katherine will be spayed next and adopted from the clinic. We will subsidise her spaying charges. There are another two more to be spayed.